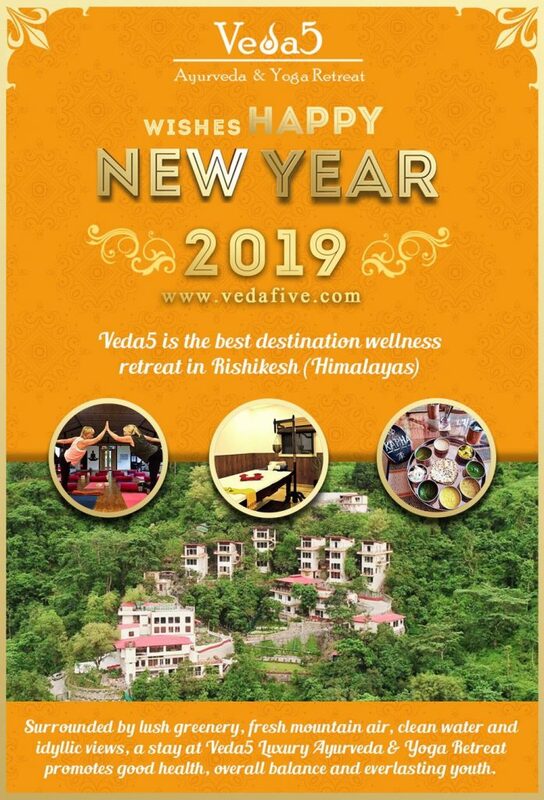 Veda5 Luxury Ayurveda and Yoga Retreat, Rishikesh (Himalayas), India wishes you the New Year full of health, prosperity, happiness and wellness! New Year is an occasion for celebration, rejuvenation and transformation of mind, body & soul! Into your Soul, delve . 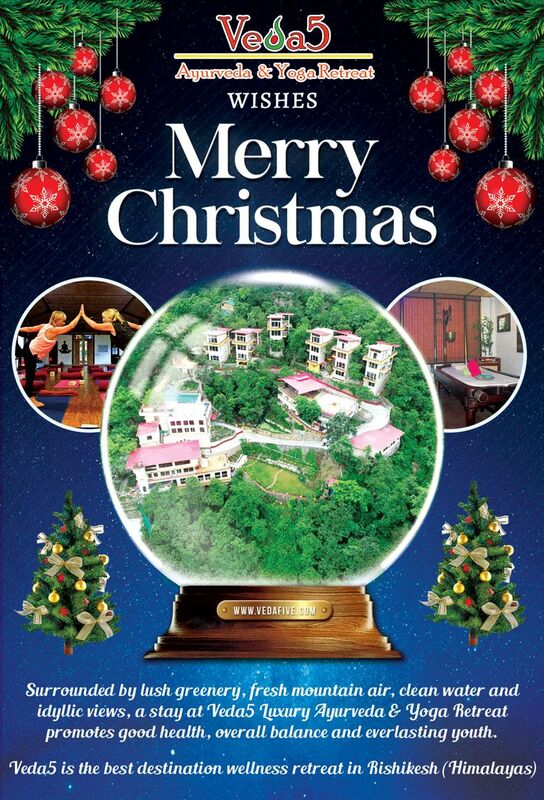 You’re welcome to read many more heart touching reviews of Veda5 by our guests here. Veda5 also wishes that you had a Merry Christmas! 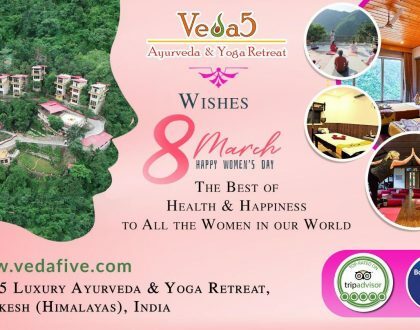 Veda5’s Ayurvedic treatments are supplemented with nourishing Ayurvedic food using fruits, vegetables and herbs as available from Veda5’s organic farm and highly-beneficial Yoga and Meditation sessions from experts. 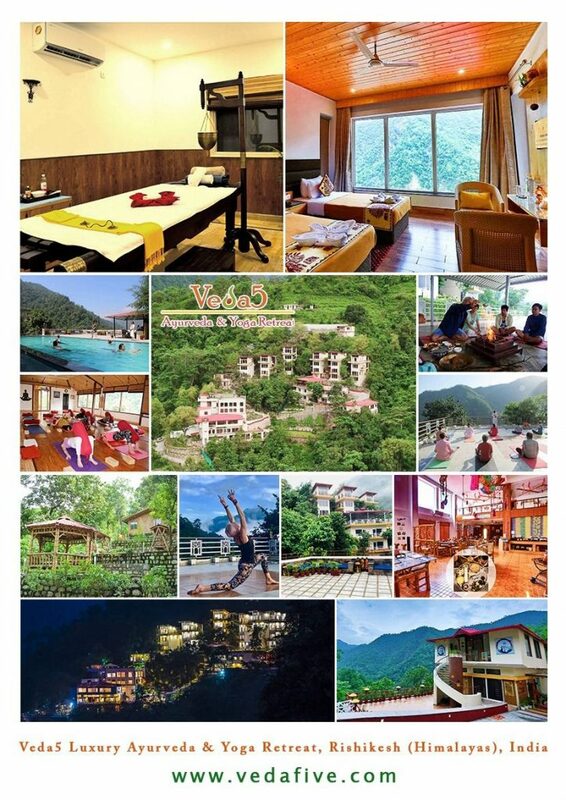 Click here to learn more about wellness through traditional Ayurveda and Yoga amidst the beautiful nature of Himalayas in Rishikesh. 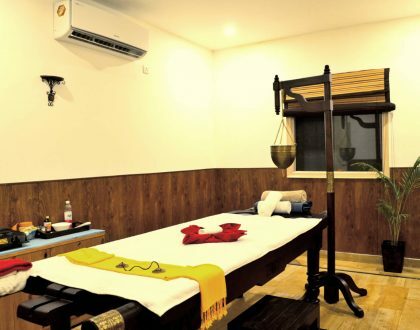 Click here to learn more about Veda5’s well-designed wellness packages for which our guests come from around the world to India. You’re welcome to contact us for more details. 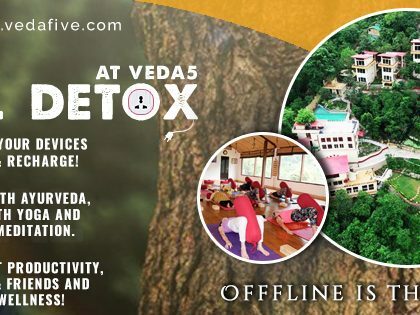 Veda5 looks forward to serving you soon!